Zodiac's first above ground light offering, these low voltage LED lights are easy to install, create a beautiful ambience and will color sync with your pool and spa. The Jandy Pro Series landscape lights bring a palette of colors to your backyard paradise for a truly unique atmosphere. These low voltage LED lights are easy to install, create a beautiful ambience and can color sync with your pool and spa. Whether swimming or just lighting up the night, you'll enjoy an endless display of brilliant color. Built for extreme durability, the lights are waterproof and designed to stand up to all types of weather. NEW outdoor light features focusing elements for beautiful illumination of trees and other landscaping around your home. 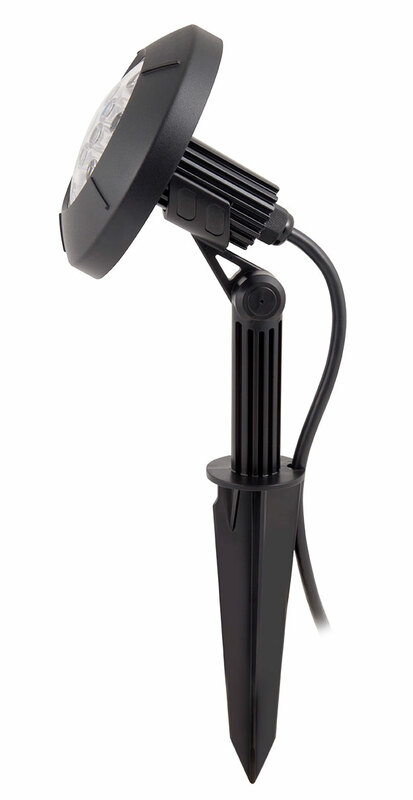 NEW unique, wet area light (model JLWC7-150) is ETL listed for installations within 10 feet from the pool/spa. Includes an adjustable mounting stake and removable black beauty ring.